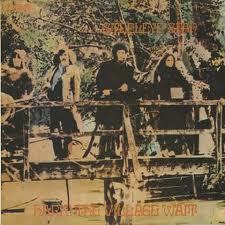 From 1970 comes the debut recording of Steeleye Span. My vinyl copy is on the original RCA label but my CD is a 1991 re-issue on the Mooncrest label (CRESTCD 003) with a different cover to the one shown here but a helpful sleevenote by John Tobler. Formed by bass player Ashley Hutchings after he’d left Fairport Convention, the rest of the original line-up (which split-up pretty much on completing this recording and never toured) comprised two duos: From England these were Maddy Prior and the late Tim Hart (who’d made a couple of acoustic folk albums) and, from Ireland, Terry Woods (lately of Sweeney’s Men) and his wife Gay Woods. This line-up lacked a drummer (a bit of shortcoming if the project was to make a folk-rock album) so they used two guests to fill-in as required – Dave Mattacks and Gerry Conway – hardly a surprise to anyone familiar with this genre! There are twelve tracks, all credited to ‘traditional’ (although the opening ‘A Calling-On Song’ was adapted by Hutchings and the lyrics to ‘Fisherman’s Wife’ are by Ewan MacColl). And the sound is much, much, ‘folkier’ than Mr Hutchings’ previous recording (Fairport’s ‘Liege and Lief’) with banjo and dulcimer high in the mix. Although some sound very much ‘of their time’, this is a remarkable album – rather unlike anything else, including most of Steeleye’s subsequent recordings (indeed the band’s second album included a totally different version of track two ‘The Blacksmith’). The standout tracks for me are track three (‘Fisherman’s Wife’) driven by Gay Woods’ autoharp and combining the two women’s voices really well; track five, ‘Dark Eyed Sailor’ (same mix of voices plus Gay Woods’ concertina) which was adapted pretty much straight by June Tabor and the Oyster Band (see this blog 13 October) ; and track 10 (‘Lowlands of Holland’) which benefits from great drumming by Dave Mattacks. The rest aren’t bad either: (Richard Thompson borrowed the version of ‘Blackleg Miner’ for his ‘1,000 Years of Popular Music’ project and Maddy Prior’s vocal on ‘All Things Are Quite Silent’, which has a great rock rhythm section backing courtesy of Hutchings and Conway) is outstanding. If you’re too young not to have been there first time round, I’d urge you to track this down – especially if you only know Steeleye Span through their pop-influenced period. 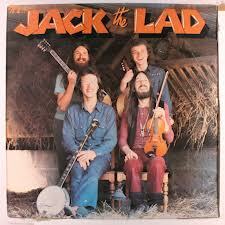 This was a different band, a more delicate sound and great music.